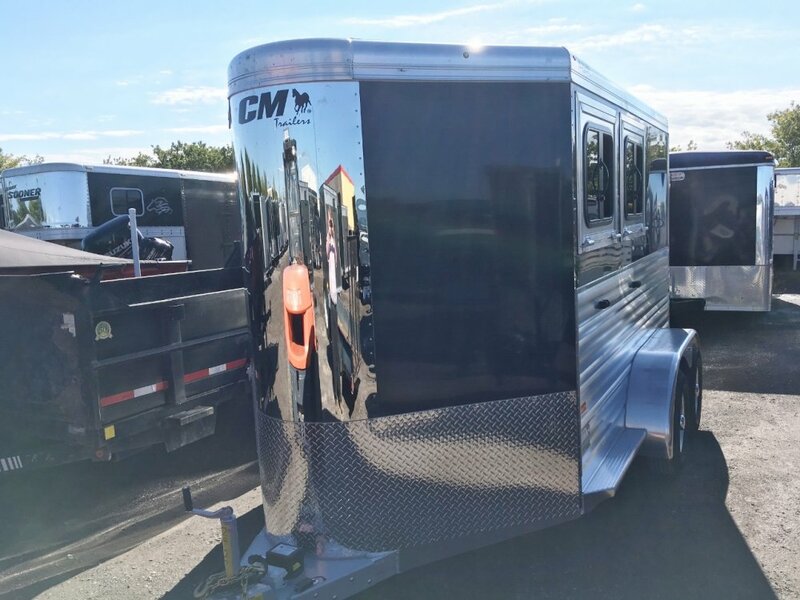 All aluminum 2 horse slant load bumper pull. 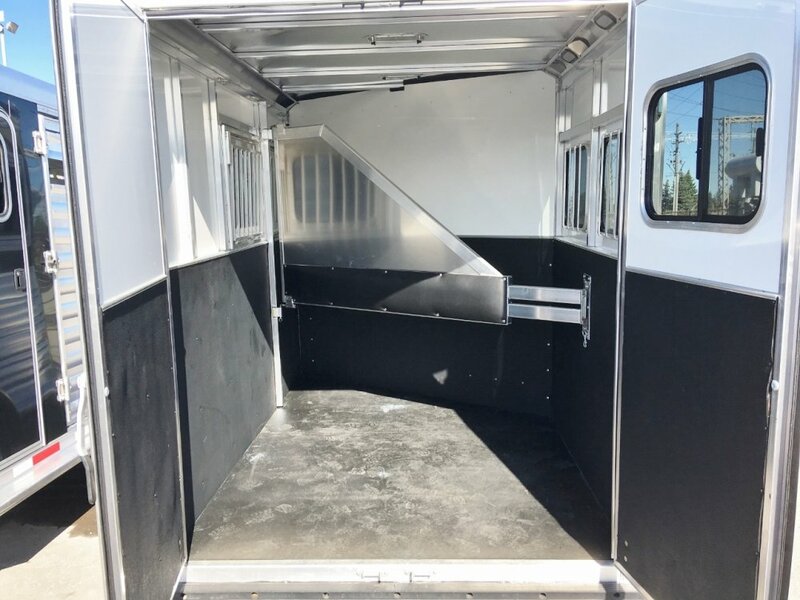 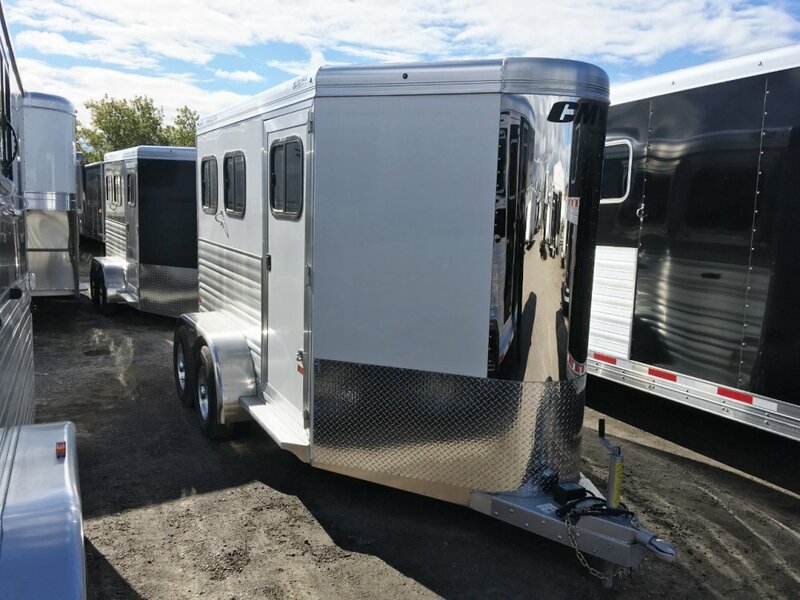 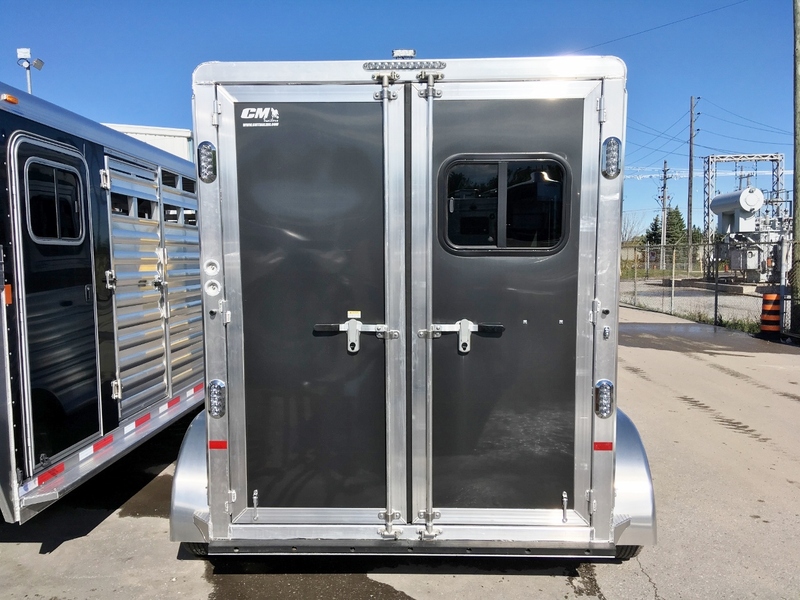 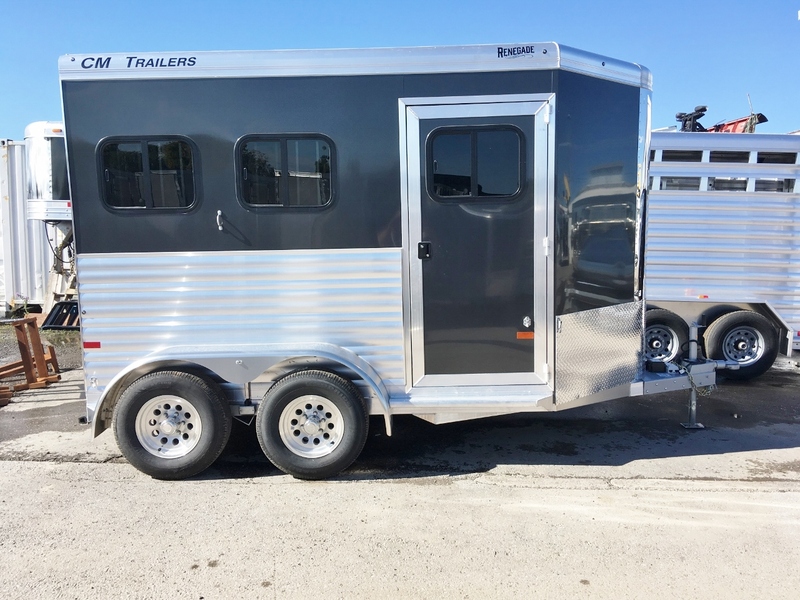 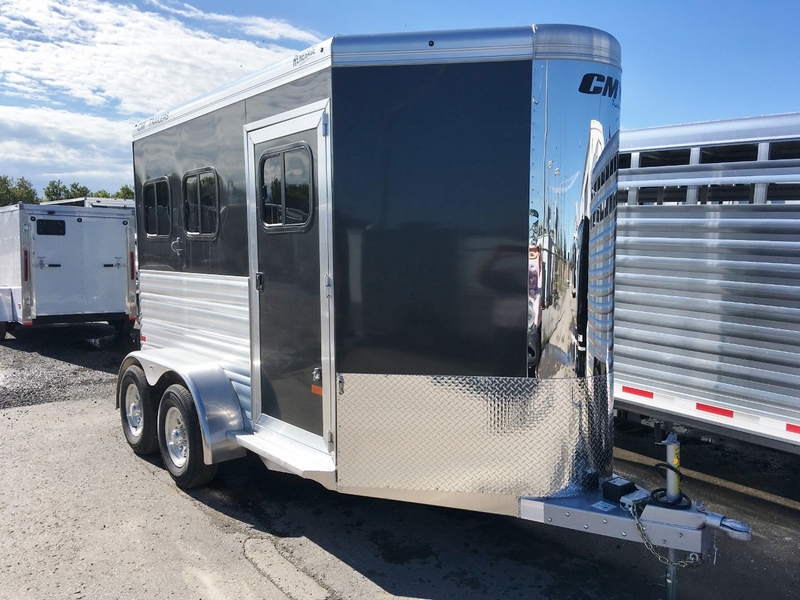 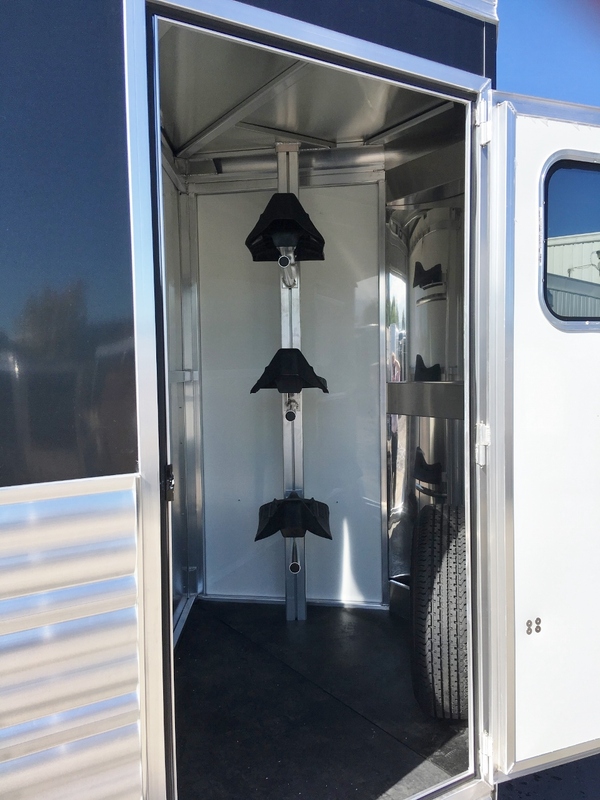 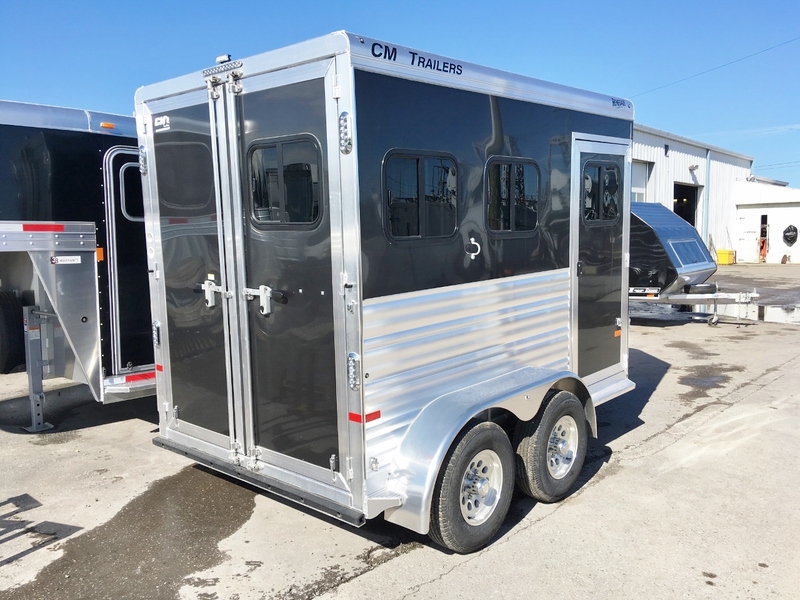 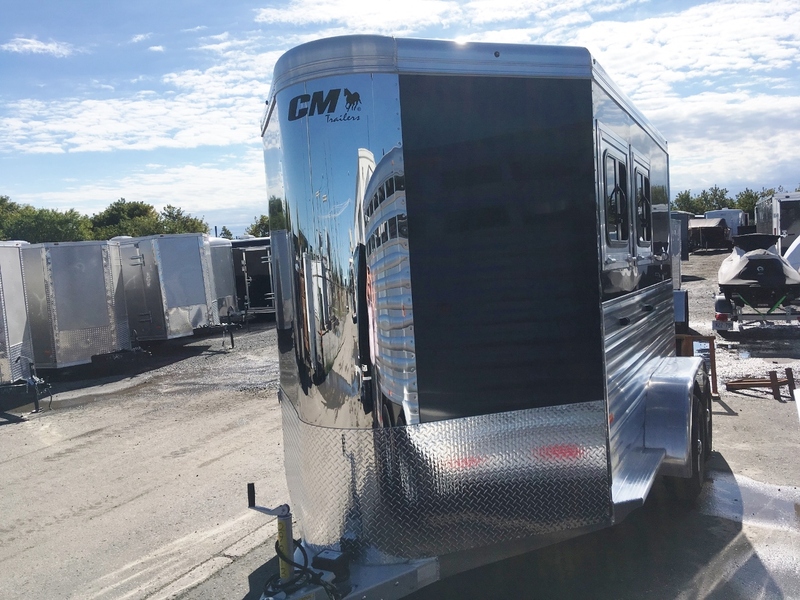 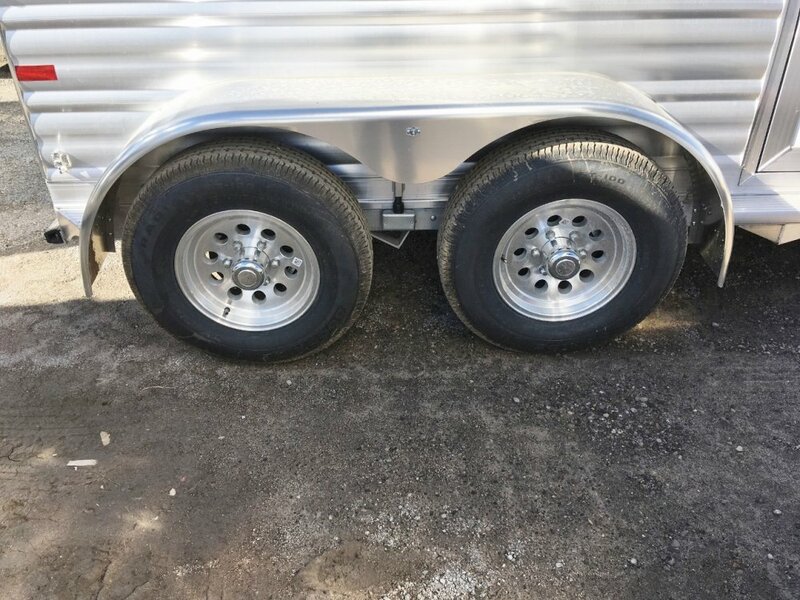 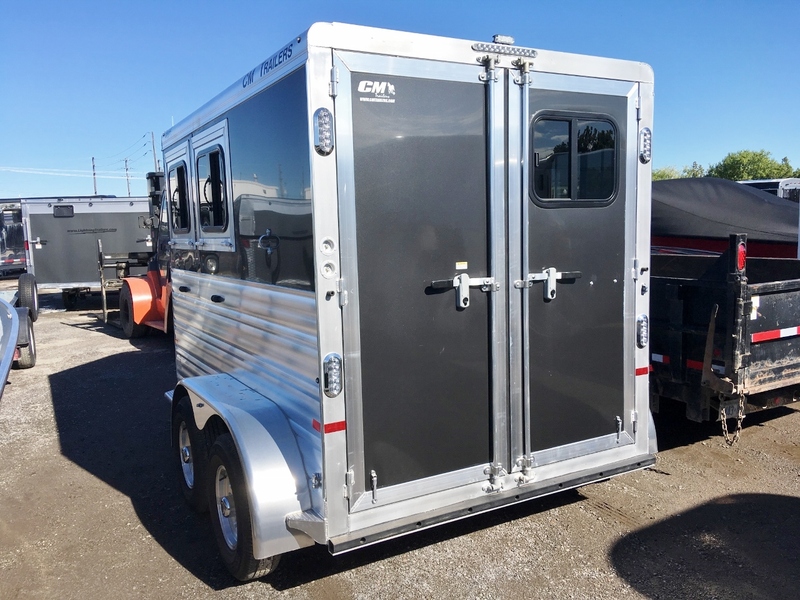 Dress room with adjustable saddle rack, blanket bars, halter hooks, rubber floor, chrome mod wheels, step up, removable stall divider, drop down feed windows street side, slider windows curb side, matching chrome mod spare tire. 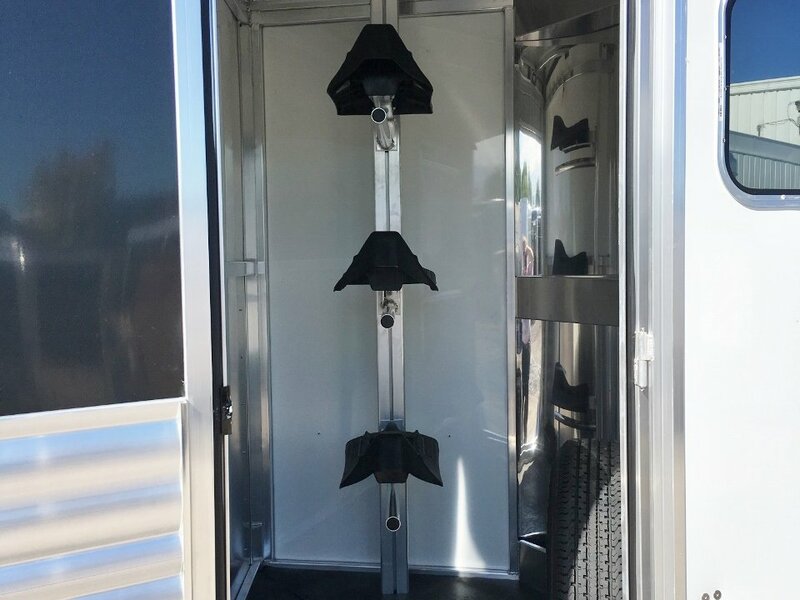 Stk# 29283 (black), 29282 (white) have 6" extra height.